Our Genesis 1″ Plenum Wall Panels have the rigidity and thermal characteristics required for your AHU superstructure. 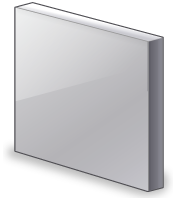 The unique 1″ pan in pan design can be used as a stand alone roof panel, wall panel or for panels in a modular framing system. Marketed as a panel that is economical and still meets your requirements for 1″ applications. Available in 1″, 1.5″, 1.75", 2″, 3" and 4″ thick non-thermal break wall construction. Pan-in-Pan Non-Thermal Break Plenum Wall Panels offer the same great features as the Apex non-thermal break plenum walls less the extruded aluminum frame. 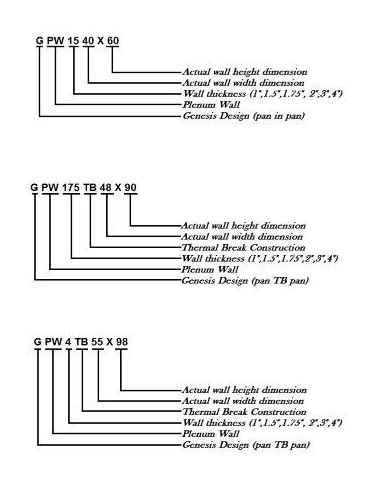 The 1" Genesis Wall Panel is not available with non-through-metal thermal break technology. Complete your custom or modular-frame commercial HVAC unit with 1 inch plenum access doors.